We have been focusing a lot lately on marketing tools and tips. As techies and web developers, we feel it’s important to provide you the information to stay ahead of the trends so that you can be experts in these social media platforms, giving you a competitive edge in the industry. HootSuite is one of the most popular tools. And there are plenty of social media management tools out there, but none have been as popular or as reputable as HootSuite. 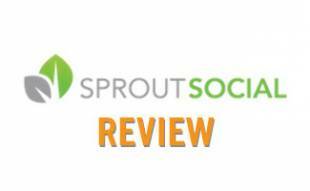 It’s been around the longest and is one of the first tools out there that allows you to manage multiple social media accounts and networks. According to Wikipedia, as of September 2012, HootSuite had over 4.5 million users. But what makes them so popular? There are a number of reasons (maybe even millions) why Hootsuite is the leading social media dashboard. With the rise of social media during the early 2000’s, the landscape of how we communicate as people and as marketers started to shift. With the new communication channels, there became a new market for social media management tools and ways to track, keep up with and engage in these online conversations. Ryan Holmes saw this new opportunity and in 2003 a platform was developed to organize the various social media networks and accounts. Thanks to input from the public and fans, the name “HootSuite” was born (a play on the Twitter bird and the French expression “tout de suite” meaning “at once” in case you were wondering like I was). Through seed funding and a burgeoning demand, the company grew and as of 2012 had more than 200 employees. Today, HootSuite is the trusted social media management system for brands like Virgin, Mashable, CBS Interactive, TLC, Sony Music, Airbnb and more. 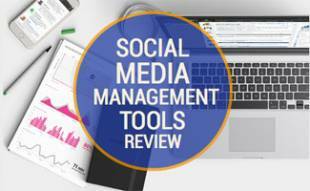 Social media management tools not only save you time, but also help you be a better, more productive marketer and communicator. They provide a dashboard that allows you to view conversations, follows, likes, messages and more all in one place with tracking and analytics. Think of how much time it takes to log in to each social media tool everyday and post – now think of how many brands or organizations you also manage. It starts to add up, but thanks to products like HootSuite you can save time and a headache by having it all in one place. And get useful stats to support your efforts as well. HootSuite tracks Twitter, Facebook, Linkedin, Myspace, and even Google Plus. Through their Twitter integration, you can view streams, mentions, Direct Messages, Tweets, and Favorites. At the same time, using the same login you can post updates, add images, and monitor feeds on Facebook. Have a Linkedin account? No problem. You can use HootSuite to connect with clients, share company news, focus on recruitment efforts, and keep a pulse on conversations in your industry. And as an added bonus, HootSuite also integrates with Google Plus allowing you to post targeted messages to circles, share and comment on posts, search public posts and updates, see recent user activity, as well as view comments, +1s and more. In addition to the standard social media platforms, HootSuite can also link to your Foursquare account, MySpace page and WordPress publisher. Additionally, there is a directory where you can search for lots more tools to plug into including Tumblr, YouTube, Flickr, MailChimp, SocialFlow, InboxQ, Instagram, Constant Contact, and more. It truly is your one stop shop for all things social media! With Hoot Suite you can rest assured that your brand is being represented fully on social media if you are willing to put in the time and thoughtfulness. Luckily, sites like Facebook and Twitter allow you to quickly and easily delete unwanted messages from going out or fixing typos or errors, but to prevent mistakes before they happen, HootSuite has built-in some additional barriers to stop unwanted tweets or posts from going out before they happen, preventing embarrassment and unprofessional posts. With the Enterprise level of Hoot Suite you have access to these additional benefits that includes features like “Swipe to Approve” and HTTPS. The last thing you want is another hacker to get into your account and posting on your behalf to thousands, if not millions, of fans and potential customers. No one ever wants or anticipates a crisis in your company or industry to occur, but in the chance that there is recon to do or urgent messages to broadcast, HootSuite makes it easy to educate and inform the masses by using a pre-planned response team. Enterprise users will work closely with the team at HootSuite to stay on top of regulations and messages that could affect your company and will work with you to prepare a professional and rapid response. They’ll even do a trial crisis or event simulation so you can have an action plan that everyone is comfortable with which is important in times of panic. Prevention management is an important role for any company or organization. Get a better view of your social campaigns with powerful analytical tools and customizable reports that will give you a complete and comprehensive picture of your participation in social spaces. HootSuite Social Analytics closes the loop between social and digital with real-time views into campaign results. There are a number of templates you can choose from or even better you can create your own by simply dragging and dropping the elements you want to track into the report module. You can even create a personalized header and upload a photo and your contact info – great if you have a client you want to impress without spending a lot of extra time creating a separate document. Build your own sections and then when you are ready preview the report before you export. A nice feature of HootSuite is that you can create an email notification to receive your report as frequently as you wish (weekly, monthly, daily or twice a month). With Hoot Suite’s Teams you can work with others in your organization (from brand managers to external consultants, ad agencies or other collaborators) by providing different levels of access. You can also change permissions at any time to remain consistent with your business needs for when employees get promoted or leave the company (without giving them access to confidential information like passwords or having to make them admins of the page). Most importantly, Teams allows you to collaborate with others to best engage with your audience. Download the app and you’ll have all these great features at your fingertips right on your smartphone or tablet. Do things like message scheduling, subscribe to RSS feeds and more on the go on your iPhone, Android and iPad. App integration with other third-party social media sites including Instagram, SalesForce, YouTube and more! 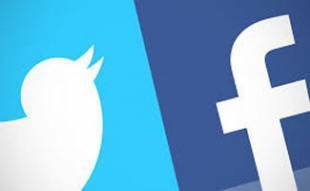 Status updates on Facebook and Google Plus put a small “via HootSuite” note on your feed. According to Hootsuite, this appears due to rules set by the social networks themselves and something they can not change. HootSuite offers five levels of pricing depending upon your needs. If you have a personal or small business you might be okay with just a free or pro account. However, if you are a mid to large-sized brand or an advertising agency who manages multiple accounts for clients, then the business or team accounts are for you. All Business features plus more! Contact for more info. Not sure what you need? Not a problem – Hoot Suite offers a 30 day free trial which allows you to test out each level to determine which level is best for you. No risks, no worries. You can also upgrade or change your plan at anytime so you can upgrade or downgrade as needed each month without being locked into any long-term contracts or commitments. If you are confident in which level you need, sign up for an annual plan to save money. Now a days, it’s not just important to know social media, but it’s imperative to be an expert in the field, staying up to date on the latest news and technologies. As marketers and web professionals, it can be difficult and time-consuming to stay on top of these trends, news and ever-changing social media platforms. But thanks to HootSuite University, you have a place to go where you can not only brush up on your skills if you are already a veteran, or learn the basics if you are a beginner. Learn tactical tips and tools from industry pros, have access to social media job boards, through online webinars, videos, presentations and more! Both plans include access to a library of courseware with the option to get HootSuite certified, which gives you industry-recognized credentials indicating you are an expert with the HootSuite dashboard. After about four to nine hours worth of learning and training, you’ll be ready to take their series of exams and upon passing will be eligible for accreditation. You can then share a badge on your website and social profiles and join their online directory which allows others to easily find you. Any big Hoot Suite users out there? Do you love it, hate it? Hootsuite is such an incredible tool. You need to be online all the time on Twitter since the shelf life of a tweet is so short. Scheduling tweets on Hootsuite lets you post content that’s insightful without time pressure.